David Cameron was born in Glasgow. 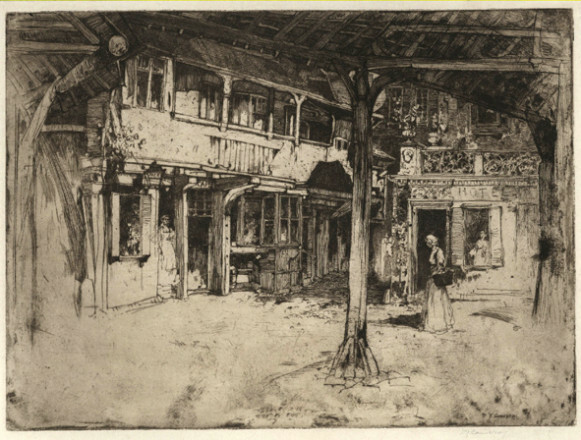 He studied at Glasgow School of Art and began etching in 1887. 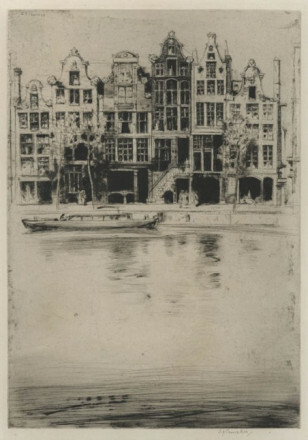 The influences of the French artist Charles Meryon, Seymour Haden and James Whistler are evident in his work. 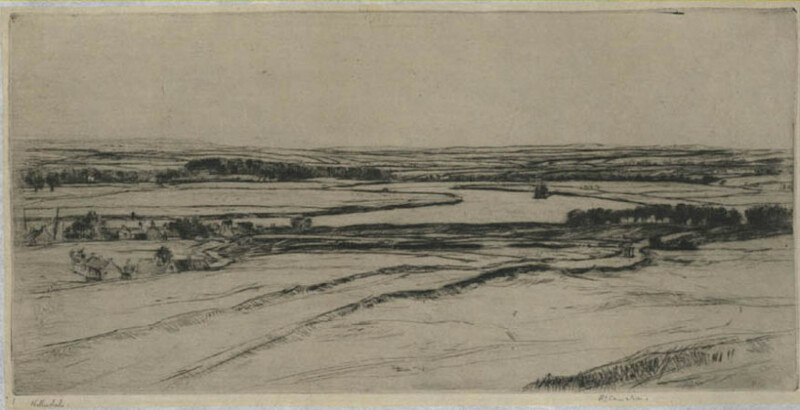 His subject matter was mainly landscapes and architecture, often devoid of human presence. In the 1890s he visited the Netherlands and Italy, but it is the later etchings of Scottish landscapes for which he is most admired. In all he produced over 500 prints. He was knighted in 1924 and later appointed as King’s Painter and Limner in Scotland. 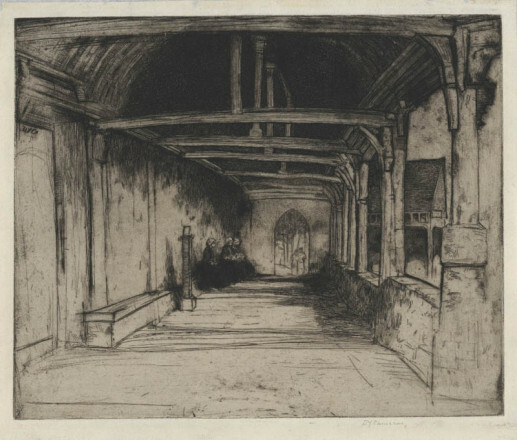 An intaglio process whereby a metal plate (normally copper, zinc or steel) is covered with an acid-resistant layer of rosin mixed with wax. With a sharp point, the artist draws through this ground to reveal the plate beneath. The plate is then placed in an acid bath (a water and acid solution) and the acid bites into the metal plate where the drawn lines have exposed it. The waxy ground is cleaned off and the plate is covered in ink and then wiped clean, so that ink is retained only in the etched lines. The plate can then be printed through an etching press. The strength of the etched lines depends on the length of time the plate is left in the acid bath.